Yes, I know it’s April. But it occurred to me that there were lots of fun things about last month that I didn’t want to write about as standalone posts. So, why not combine them? Especially since the grim weather is finally starting to disappear, and I can remember all the good times winter and I had without feeling stabby about the snow. 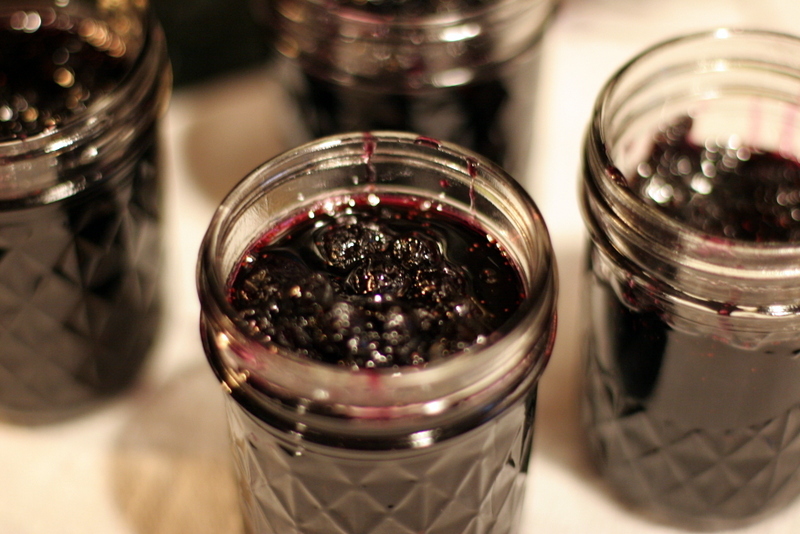 I went to grad school with Laena McCarthy, founder of the Brooklyn jam company Anarchy in a Jar. We didn’t know each other; she’s a face I remember from the hallways. 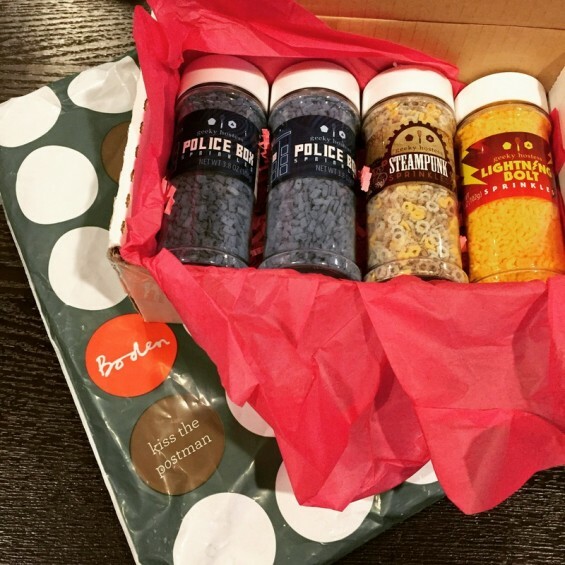 But we ended up as Facebook friends during that time, and I’ve followed her updates as she founded her company and built this really cool artisanal jam empire. I became especially interested after I got the bug to start canning a couple of years ago when Meredith started (which reminds me that I still have museum photos to post from the summer). What is about librarians and canning? I also met Meredith in grad school. Anyway, when Laena published her cookbook Jam On last year, I bought it. But I didn’t really get a chance to dive into it until this year. Last month I made her Easy Like Sunday Morning Blueberry Preserves with the fresh local blueberries I bought and froze over the summer. I had been hoping to get my hands on wild Maine blueberries (which this recipe calls for) during our road trip in August, but every farm I called and emailed had sold out within days of our arrival in Maine. I spiraled a lot over that one, but these preserves are pretty amazing with good old local New Jersey berries–I always have a bunch in the freezer for muffins all year, and I used my entire crop this year on these preserves. Well worth it. 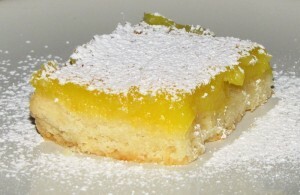 The best thing about this week was making lemon bars. I’ve never made lemon bars before. I don’t know why, I sort of think of them as a snack food cliche. Like Suzy Homemaker who makes lemon bars for the new neighbors. But I came home Wednesday after work with this weird craving for them, and I looked through all my cookbooks until I found a recipe for them that used ingredients I already had on hand (2 giant lemons and no graham crackers). And they were awesome. So awesome they have consumed my thoughts for days, and now I have this new love affair with citrus curds. 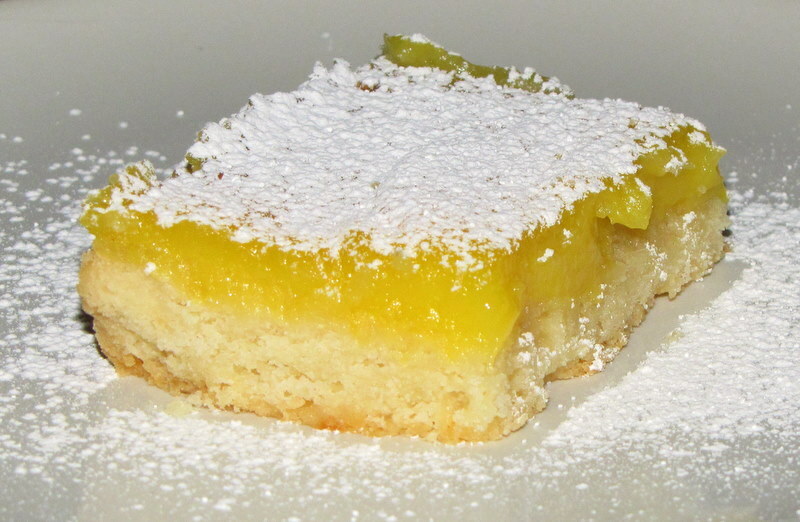 I’ve found recipes for key lime bars, bars with graham cracker crusts, all kinds of things. These have more of a shortbread crust, which Adam and I weren’t sure about at first. But now we’re both addicted. The crust has a buttery, salty flavor that cuts the extreme lemon flavor of the curd. It works on all levels. Note: The book is very adamant that the filling and the crust both be warm when assembling the bars in step 4, so they bake through evenly. I didn’t say much yesterday about the actual food I put out for Thanksgiving dinner! 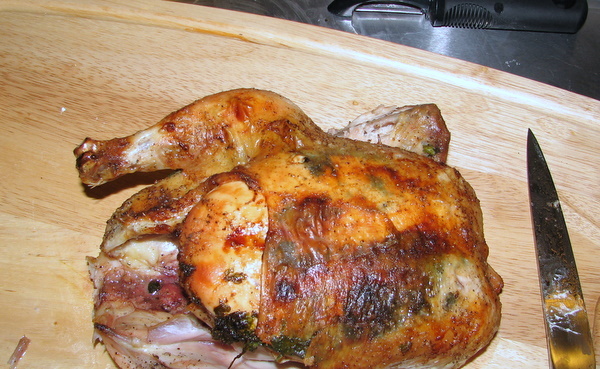 The roast turkey recipe was from the America’s Test Kitchen Family Cookbook. Pretty straightforward. Adam made the mashed potatoes, my mom made all the veggies and stuffing. 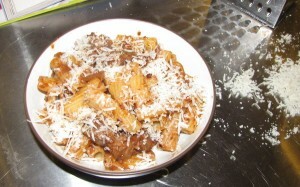 This is another Giada recipe, from the first cookbook of hers that I bought (Giada’s Family Dinners). I don’t make it exactly the same way she does, so this is my modified version. She says in the book that it’s a great way to make a pricey steak go further. This is true, as one good size steak feeds 2 people here. But I just like it because it’s delicious. 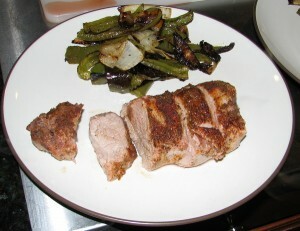 This is my variation on a recipe I first found in Rachael Ray 365: No Repeats. I’ve moved on to different cookbooks now, but still I’ve been making this for years, one of my fastest and tastiest go-to dinners, and over time I’ve tweaked it into my own thing. Her recipe cooks 25 degrees hotter than mine, she uses coriander, garlic, more lime juice. Her recipe doesn’t add onions and peppers. So I’ve posted my variation. I serve it with yellow rice and sour cream, and it’s awesome. I’m finally getting on the John Green bandwagon, and I’m starting with Looking for Alaska. So far I think it’s fantastic. I’ve started An Abundance of Katherines no less than 3 times and have never gotten very far with it. So I thought I’d go to his first book and work my way through. I bought The Best of America’s Test Kitchen 2009 a while ago. It’s a magazine-sized supplement they put out every year, and of course it has some great new recipes in it. 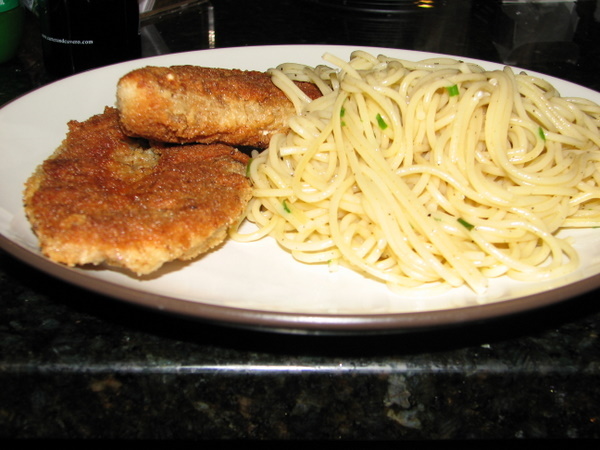 This is the first one I’ve made from it, and these Crispy Garlic Chicken Cutlets were everything they promised to be. I’ve never made chicken this crispy in my life, and it was wonderfully garlicky without warding off vampires for miles around. And it was a pretty quick weeknight dinner with some herbed lemon butter spaghetti. 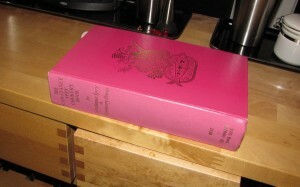 Adam has requsted that this be added to The List, my rotation of really good recipes that require repeat appearances. Adam has been quietly, patiently requesting roast chicken in my kitchen experiments pretty much since the day I met him. I had a fear of roasting things that I concquered after a few colorful attempts at Christmas turkeys. I finally got the turkey thing down cold, so this weekend I decided to do a proper Sunday roast. I used my never-fails-me America’s Test Kitchen cookbook (seriously, everything I make from this book is golden) for the recipe. Adam made his famous mashed potatoes (no matter how hard I try, I just can’t make them as good as his), and we grilled some asparagus on the stove. I’m very excited to learn that the asparagus comes out just as awesome inside with a grill pan as it did outside on the grill. The book suggests brining the chicken first, which I did. Two quarts of cold water mixed with 1/2 cup salt and 1/2 sugar in a big bowl. I totally immersed the chicken, covered it, and refrigerated it for about 40 minutes. And the chicken was unbelievably moist.